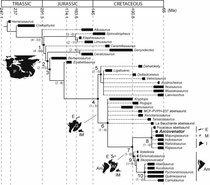 フランス南部、白亜紀後期のアベリサウルス科恐竜 - dinopantheons jimdo page! 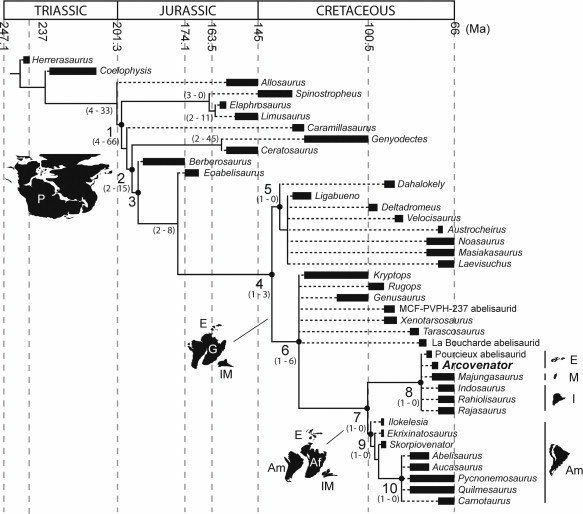 Strict consensus tree of the phylogenetic relationships of Arcovenator escotae within Ceratosauria, shown on a stratigraphic (Gradstein et al., 2012) and palaeobiogeo-graphical (Holtz et al., 2004) framework. 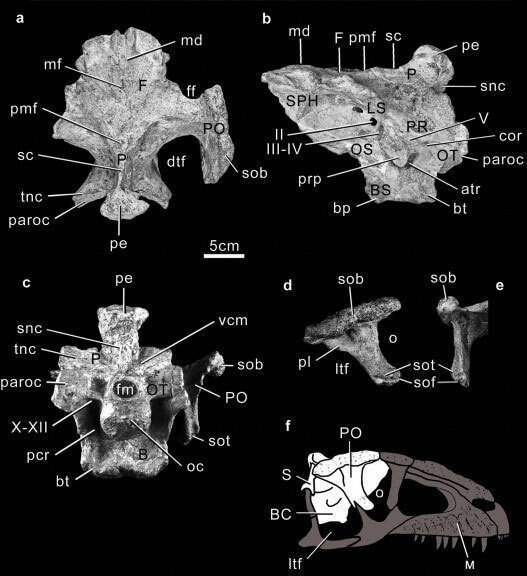 A new abelisaurid dinosaur from the Late Cretaceous of southern France: Palaeobiogeographical implications.